We are making use of only a small part of our physical and mental resources. Stating it broadly, human individuals live far within their limits. We possess powers of various sorts which we habitually fail to use. I can talk with conviction about this subject – of being yourself – because I feel deeply about it. 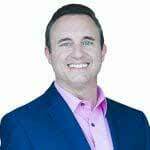 Noah St. John is a keynote speaker and Strategic Consultant who’s famous for inventing Afformations® NOAH ST. JOHN is famous for inventing AFFORMATIONS® – a new technology of the mind – and helping people get rid of their head trash so they can make more money.